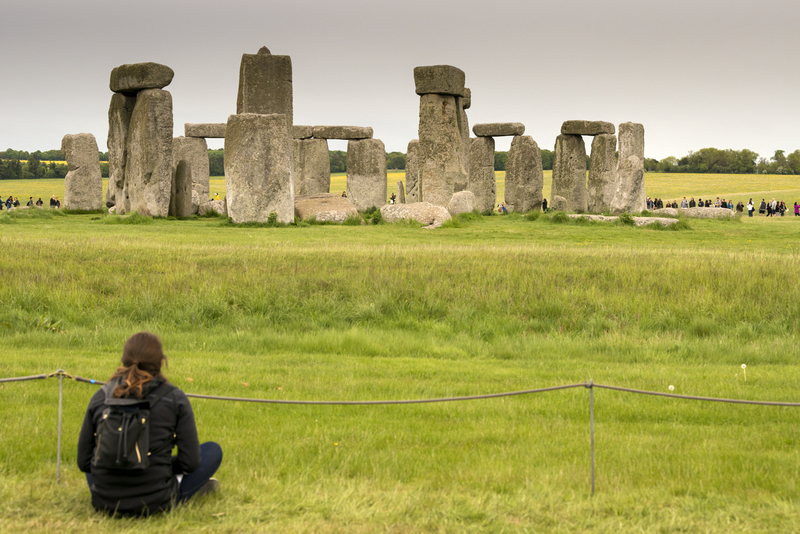 One of the most famous landmarks in the United Kingdom, Stonehenge is regarded as a British cultural icon. It is one of the wonders of the world and the best-known prehistoric monument in Europe. Located in Wiltshire, England, 2 miles west of Amesbury, it consists of a ring of standing stones, with each standing stone around 13 feet high, 7 feet wide and weighing around 25 tons. Radiocarbon dating suggests that the first bluestones were raised between 2400 and 2200 BC although they may have been at the site as early as 3000 BC. Stonehenge is legally protected scheduled ancient monument, managed by English Heritage while the surrounding land is owned by the National Trust.